Taft is remembered for emphasizing constitutional restraint as President, but he also set aside more public lands and brought more anti-trust suits than his predecessor, Theodore Roosevelt. And he set the standard for integrity and personal conduct in the White House. Helen "Nellie" Taft, the wife of the President Taft, raised Constitutional questions when she insisted on keeping a Gobelin tapestry given her by the Empress of Japan. This time, however, Mrs. Taft changed her mind, deciding she wanted to keep the tapestry after all. Nellie then tried to persuade her husband, a former judge, that she was not an official of the United States government and therefore was not bound by the foreign emoluments clause of the Constitution. Taft “stood firmly by the Constitution, as usual,” Nellie recalled with bemused exasperation, “and eventually I had to submit the question for arbitration to President Roosevelt, who agreed with me that I was a private citizen and had a perfect right to accept the gift.” After Taft became president, she hung the tapestry in the state dining room of the White House, where she took pleasure in watching guests attempt in vain to decipher its meaning. In the White House, Taft approached the presidency not as a politician but as a judge. Nellie Taft’s verdict about her husband’s judicial scruples — “he stood firmly by the Constitution, as usual” — serves as a fitting epitaph for his entire career. William Howard Taft, the only president who went on to serve as chief justice of the United States, devoted his leadership of the executive and judicial branches to defending the U.S. Constitution above all. 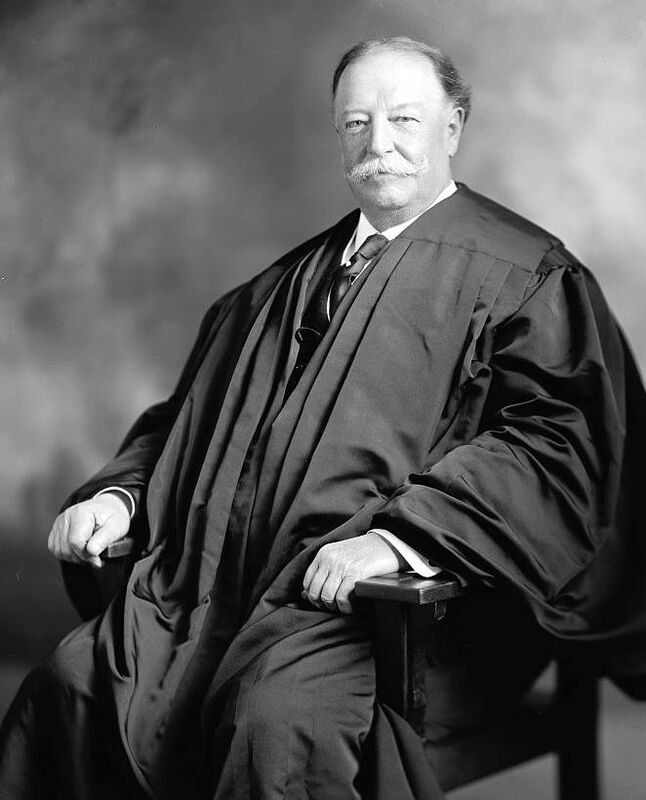 Earlier in his career, Taft had served as solicitor general in the U.S. Department of Justice, representing the United States before the Supreme Court. The experience quickened his judicial ambitions. His next appointment was to the U.S. Court of Appeals for the Sixth Circuit, which he found a kind of heaven; after eight years, President William McKinley persuaded him to resign to become governor-general of the Philippines, another appointment that delighted him because it cast him as Solon, a constitution maker applauded by a grateful people. Taft declined President Theodore Roosevelt’s repeated offers of a Supreme Court seat with the greatest reluctance and agreed instead to serve as secretary of war, a position once held by his father, where Taft endeared himself to the president for his deference and administrative efficiency. Yearning as always for the bench, he was persuaded by his wife to run for president in 1908, and his victory fulfilled her ambition while thwarting his own. In the White House, Taft approached the presidency not as a politician but as a judge. He pledged to put Roosevelt’s policies, many of them enacted by executive order, on firm constitutional grounds by persuading Congress to endorse them. And he approached each presidential decision by asking whether it comported with the Constitution. Unlike Roosevelt, who declared that a president could do anything the Constitution didn’t forbid, Taft insisted that he could do only what the Constitution explicitly allowed. This caused a dramatic breach with Roosevelt, leading to the historic election of 1912, which Taft viewed as a crusade to defend the Constitution against what he considered the demagogic populism of Roosevelt and Woodrow Wilson. The people disagreed, and Taft was defeated. Taft saw the historic three-way election of 1912 as a crusade to defend the Constitution against what he saw as the demagogic populism of Roosevelt and Wilson. Nine years later, Taft fulfilled his lifelong dream when President Warren Harding appointed him chief justice. And he achieved on the Court many of the remaining constitutional goals he had set for himself as president, promoting consensus among the justices and establishing the federal judiciary as a modern, strong, and fully equal branch of government, ready to defend constitutional rights and liberties against the encroachments of the political branches and against new populist threats. To emphasize the independence of the judicial branch, he oversaw the construction of a new Supreme Court building, which allowed the Court to move from its cramped headquarters in the basement of the Capitol to a majestic Temple of Justice across the street. If Taft had chafed in the White House as a judicial president, he thrived on the Supreme Court as a presidential chief justice. Taft is remembered today as an average president, and most ratings of presidential historians place him in the middle. The 2017 C-SPAN Presidential Historians Survey, for example, ranks Taft overall at twenty-fourth — just below Ulysses S. Grant and Grover Cleveland, but substantially below his rivals in the election of 1912, Theodore Roosevelt and Woodrow Wilson, who rank fourth and eleventh, respectively. As chief justice, by contrast, Taft ranks much higher. A 1993 survey of judicial historians ranked him fifth among the sixteen chief justices who had served to that date, trailing only John Marshall, Earl Warren, Charles Evans Hughes, and Harlan Fiske Stone. “William Howard Taft is the most underappreciated constitutional figure since George Mason,” says Judge Douglas Ginsburg of the U.S. Court of Appeals. When Taft’s constitutional achievements as president and chief justice are viewed of a piece, his significance comes into proper focus. As Judge Douglas Ginsburg of the U.S. Court of Appeals for the D.C. Circuit told me, “William Howard Taft is the most underappreciated constitutional figure since George Mason, who refused to sign the original Constitution because it didn’t have a Bill of Rights.” As judge, colonial governor, cabinet secretary, president, and chief justice, Taft had a clear and consistent constitutional vision, and he achieved nearly all of the constitutional goals he set for himself, even if as a politician he often fell short. A disciple of John Marshall and the authors of the Federalist Papers — James Madison, Alexander Hamilton, and John Jay — Taft believed that the presidency, the Congress, and the judiciary should be strong and independent branches, each exercising broad but limited powers within clearly defined constitutional boundaries. And he insisted that constitutional filters on the direct expression of popular passion were necessary to promote the “wise deliberation ... which may constitute the salvation of the Republic.” Without these filters, he feared, America would degenerate from a representative republic into a direct democracy, and populist demagogues would flatter the people into subverting the constitutional order. The time has come to see Taft in constitutional rather than political terms. For Americans of my generation, the conventional image of William Howard Taft is unflattering. It pictures him as a stubborn defender of the status quo, champion of property rights, apologist for privilege, inveterate critic of social democracy—the gigantic symbol of standpattism. Weighing well over three hundred pounds, avoirdupois alone made him a cartoonist’s model of the bloated capitalist or political boss? Mason does not entirely dispel this caricature. More recent studies — including superb books by Judith Anderson (on Taft’s psychology and character), David H. Burton (on his foreign policy), Doris Kearns Goodwin (on his relationship with Theodore Roosevelt and the press), Lewis L. Gould (on his presidency), and Jonathan Lurie (on his progressive conservatism)—view Taft as a man of rectitude who lacked political skills. “Widely admired in his day for his integrity and strong sense of morality,” Lurie writes, “Taft seems to have set a standard for personal conduct that later presidents have had, to put it mildly, some difficulty in attaining.” These biographers recognize that Taft had a judicial temperament that was ill equipped for the political demands of the twentieth-century presidency. But they take him to task for refusing to engage in popular leadership — precisely the kind of leadership that Taft’s constitutional vision of the presidency forbade. Pres. Harding named Taft to be Chief Justice of the Supreme Court in 1921. Library of Congress. Taft was more successful in achieving his goals than many observers have recognized. He extended federal environmental protection to more land than Roosevelt and brought more antitrust suits in one term than Roosevelt brought in nearly two. Slashing federal expenses, he turned a budget deficit of $89 million in 1909 into a budget surplus of $11 million in 1911. As a moderate free trader, he passed the first reduction in the federal tariff since the 1890s, a political third rail Roosevelt had avoided. He persuaded Congress to pass a landmark Canadian free trade agreement (although Canadian voters ultimately rejected it), and he maintained peace with Mexico by refusing to send troops over the border despite cries in his own party to start a war. He defended judicial independence against the demagogic attacks of Roosevelt, who assailed individual judges by name and sought to overturn judicial decisions by popular vote. Throughout his career, Taft’s abiding goal was to perfect the administration of what he called “the machinery of government with a view to increasing its efficiency and decreasing its cost.” Henry Stimson, who served as secretary of war under Presidents Taft, Franklin Roosevelt, and Harry Truman, and as secretary of state under Herbert Hoover, said that Taft was the finest administrator of them all. Taft’s talent for administration allowed him to fulfill his campaign promise to oversee a government that was constitutionally limited and economically efficient. And as chief justice, Taft deployed his gifts as an administrator and mediator to achieve many of his remaining goals, reforming the federal rules of judicial procedure and establishing the federal judiciary as a strong and independent branch of government, ready to check the excesses of the political branches in the face of new populist threats. Devoted to party unity above all, Taft put too much trust in the Republican leaders known as “standpat conservatives,” led by Speaker Joe Cannon, who watered down his proposed tariff reforms and refused to endorse the international courts that he considered necessary for global peace. Moreover, because of his thin-skinned sensitivity to criticism, Taft impetuously fired those he considered disloyal, with disastrous political consequences, culminating in his rift with Theodore Roosevelt and the fracturing of the Republican Party. Taft’s political vice, a constrained view of the Presidency, suited him better for the bench than the White House. Still, it is important to understand Taft’s refusal to exert popular leadership as part of his constitutional conception of the presidency. Like the Framers, Taft saw the president’s role as that of a kind of chief magistrate who would promote thoughtful deliberation among the people’s representatives without directly representing the people’s momentary passions. Seen in this light, Taft’s political vice was a constitutional virtue, better suited to the bench than to the White House, no doubt, but based on principle and not personality. Taft strongly disagreed with Roosevelt’s “stewardship” vision. “The true view of the Executive functions is, as I conceive it, that the President can exercise no power which cannot be fairly and reasonably traced to some specific grant of power,” Taft wrote in Our Chief Magistrate and His Powers, published in 1916. Anticipating the position of strict constructionist Republicans today, Taft continued, “Such specific grant must be either in the Federal Constitution or in an act of Congress passed in pursuance thereof.” Taft was similarly appalled by Roosevelt’s populist attacks on judges — in particular, by his proposal to allow Americans to overturn judicial decisions by popular vote — and he decided that the central question in the election of 1912 was judicial independence. Taft viewed the election of 1912 as a choice between the Founders’ conception of the presidency as a constrained office, defined and limited by the Constitution, and the views of his progressive rivals Theodore Roosevelt and Woodrow Wilson, who, in different ways, viewed the presidency as a popular office, directly accountable to the people. While Roosevelt saw the president as a “steward” of the people, Wilson criticized the separation of powers and natural rights as an eighteenth-century anachronism, insisting that the twentieth century demanded a large, energetic federal government overseen by a president directly responsive to the people’s will. Taft, like the Founders, rejected the idea of popular leadership by the president, but Roosevelt and Wilson insisted on it. For Taft, the president’s authority came from the Constitution; for Roosevelt and Wilson, it came directly from the people. Although Roosevelt and Wilson believed in rule by experts who were accountable to the president, they championed reforms like the initiative, referendum, and direct primary that would limit the ability of representatives and independent judges to filter popular passions. They also criticized judges for checking progressive legislation and thwarting the immediate expression of the people’s will. We are not a pure democracy governing by direct action, and the great men who framed our fundamental law did not intend that we should be.... The people do rule and always have ruled in the United States. They have their will but they have it after a wholesome delay and deliberation which they have wisely forced themselves to take under the restrictions of a Constitution which, adopted by however small popular vote, they have fully approved by more than one hundred and thirty years of acquiescence. It is this voluntary self-restraint that has made their Government permanent and strong. It is a fundamental error to seek quick action in making needed changes of policy or in redressing wrong. President Taft's son, Robert Taft, became Senate Majority Leader. 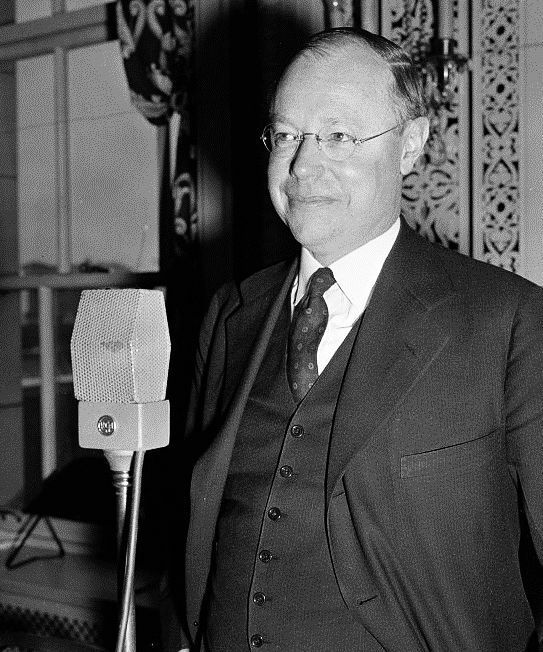 As a leading conservative, he fought against FDR's New Deal and cosponsored the Taft–Hartley Act of 1947, which banned closed shops and other labor practices. Both father and son served on the Ohio Superior Court and then achieved a series of increasingly high appointments at home and abroad. Alphonso Taft served as President Grant’s secretary of war and President Benjamin Harrison’s attorney general, as well as minister to the courts of Austria-Hungary and Russia. He was also a devoted party man who helped to found the modern Republican Party in 1856 on the principle of preserving the Union and the Constitution. William Howard Taft passed on the same constitutional vision to his own children. Taft’s oldest son, Robert Alphonso Taft, became one of the leading conservative senators of the twentieth century, celebrated as “Mr. Republican” for his advocacy of non-interventionism in foreign policy and his attempts to curb the power of labor unions. (The Taft-Hartley Act of 1947, which Robert Taft sponsored, outlawed the secondary boycott, or strikes by unions against companies that did business with other companies engaged in labor disputes, which William Howard Taft had fervently opposed as a lower court judge, as president, and as chief justice.) Robert Taft founded the modern limited-government wing of the Republican Party, in opposition to the big-government conservatism of President Dwight D. Eisenhower. 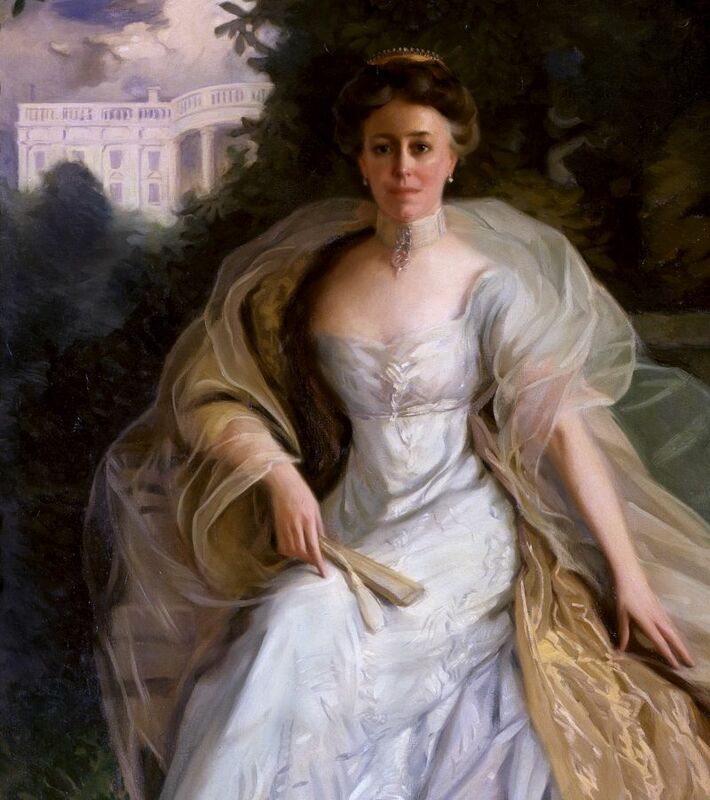 William Howard Taft’s daughter, Helen Taft Manning, distinguished herself as an American history professor, dean, and acting president at Bryn Mawr College. And his son Charles Phelps Taft II, known as “Mr. Cincinnati,” served as Republican mayor of the Taft family’s hometown. Copyright @2018 by Jeffrey Rosen. Portions of this essay appeared in William Howard Taft, by Jeffrey Rosen. Reprinted by permission of Times Books, an imprint of Henry Holt & Co.